This is the last blog post for the Blogging from A to Z April Challenge. Normally there are no Sunday posts. However, the way April was set up this year, Z-Day had to happen on a Sunday. Here we are and I am going to talk about my adult acne struggle. 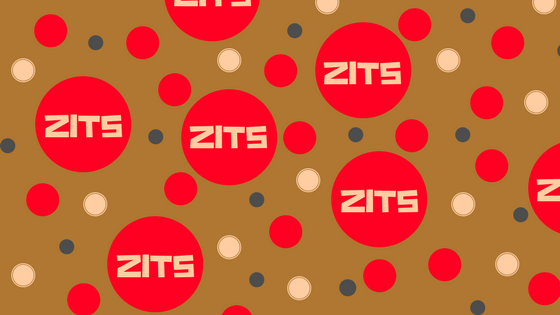 Yes, we have zits for Sunday. When I was in me teens and first few years of my twenties, I had mild acne. I used Proactive back then but had to stop because I developed eczema and that acne system aggravated it. Then something great happened. I stopped having acne breakouts apart from the errant one that would occasionally visit me during my period. In 2014, I became ill and was hospitalized two days before my 37th birthday. I had so much medicine pumped into me and a few blood transfusions. I was in the hospital then sent to a nursing home. I came home things were okay with me initially. Then I started getting zits. They were a bit stubborn. They were no longer occasional zits. I was having full on breakouts like when I was a teenager. I tried using salicylic acid because it is gentler and my skin tends to dry out using benzoyl peroxide. That was no longer as effective as it used to be. Then I decided I needed to just deal with some dry skin and tried the Acne Free system which uses benzoyl peroxide. To my delight, it worked without drying my face out. I turn 40 next month. I still get acne breakouts, especially when I become sick. So, my Acne Free system is something I can't go without now. When I double cleanse, my Acne Free cleanser is my second cleansing to help get treat my zits. I hear that we begin to lose moisture during this time in life. Right now, my skin is combination but can be on the oily side more often than not. So, I am not sure how long I have before I will need to start using an anti-aging acne fighting moisturizer. Pushing 40 I am still struggling with zits and how to manage them. I have a game plan. However, I know skin changes as we get older. So, I need to begin thinking ahead now. I seriously do not want to be in my 50s trying to conceal a zit on my nose. Do you suffer from adult acne? What products are working for you?